Why the Middle East revolts have Beijing on edge. This is the first in our package of articles about the Middle East revolts and the future of autocracy worldwide. Click here to read about the Muslim Brotherhood, here to read about Russia's deep despair, and here to read about Venezuela's lost generation. No one thinks about their own demise more than the leaders of China’s Communist Party. Since the collapse of the Soviet Union and its Eastern European satellites, they have undertaken a massive effort to study why some one-party states survive while others fail. They have sent teams of investigators to do autopsies on the former governments of the Soviet bloc. They have pored over the mistakes that made dominant political machines in Mexico, Indonesia, and South Korea grind to a halt. They have drawn lessons from Singapore’s political stability, Cuban health care, and even experiments in government transparency in Western democracies. While the world marvels at the economic reforms that unleashed China’s spectacular accumulation of wealth, the Communist Party is not simply waiting for the day its people issue a set of demands: It is working overtime to anticipate those demands and meet them—before it follows the downward path of so many other authoritarian regimes. Suffice to say, then, the revolutions ripping through the Arab world have grabbed the attention of Chinese officials. 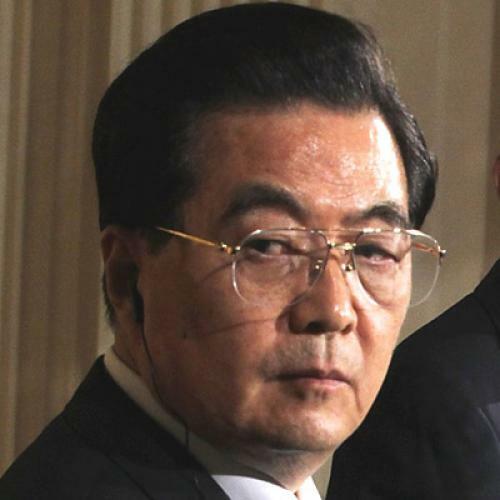 In mid-February, President Hu Jintao called the country’s top leaders together for a “study session” on the turmoil. But just because the Party is thinking about it doesn’t mean they want anyone else to do the same. I was reminded of this as soon as I checked in to my hotel in Beijing. Listening to CNN as I unpacked my suitcase, the anchor interviewed an analyst on the deteriorating situation in Libya. As soon as the anchor asked how Beijing might be viewing events, my television went dark. Roughly 60 seconds later, the TV screen came back, just in time for the anchor to thank the guest for his analysis. In many ways, the revolutions in the Middle East confirm Beijing’s assumptions and accumulated wisdom on what makes an authoritarian system weak or resilient. In the eyes of the regime, the instrumental role that social media played in Tunisia and Egypt surely justifies their investment in a heavily censored Internet with no easy access to Facebook or Twitter. The poverty, unemployment, and miserable delivery of public services in Egypt, Libya, and Yemen reminds the Party that its governance—not just its GDP—is crucial for tamping down revolution. Almost all of the nearly one dozen Party members I spoke to in the past week about the Middle East revolts scoffed at the idea of letting one strongman sit atop a regime for 30 or more years. Of course the regime would lose legitimacy if everyone saw the same face for so long. And the Party has long understood that corruption—especially among the ruling elite—could be its undoing. There is no shortage of graft and back-room deals in China, but the children of Politburo members aren’t showing off their pet tigers, either. The anonymous calls for protest circulating online asked people to congregate at one of roughly 20 sites in cities across China at 2 p.m. last Sunday and just “go for a stroll.” I visited the spot in Beijing, in the upscale shopping area of Wangfujing. Police and plainclothes officers were out in force. The mood took on a surreal quality as growing numbers of people turned up, walking slowly in a loop around the designated street corner. Everyone stared at everyone else and waited, curious to see if something would happen. It didn’t. I can imagine security officials patting themselves on the back afterward for their effective crowdcontrol techniques. But, at the Party’s higher levels, there is unease. Despite their best efforts, they know they aren’t the only ones thinking about their demise. William J. Dobson, the former managing editor of Foreign Policy magazine and senior editor for Asia at Newsweek International, is writing a book on the challenges to democracy.